A Russian associate of Donald Trump’s attempted unsuccessfully to send “five women” to the real estate tycoon’s hotel room in Moscow in 2013, his longtime bodyguard reportedly told the House Intelligence Committee this week. 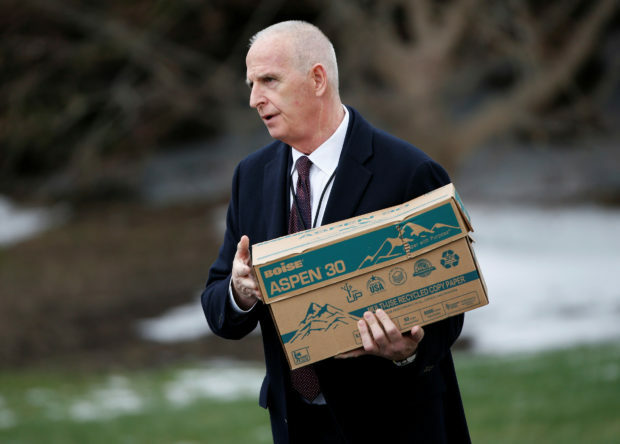 The offer was made after Trump attended a meeting ahead of the Miss Universe pageant, Keith Schiller told the committee in four hours of closed-door testimony, according to NBC News. The salacious report, which BuzzFeed published in January, alleges that Russian operatives filmed Trump’s encounter and has used the footage to blackmail the Republican. In his testimony, Schiller reportedly said that he told Trump later that evening about the “five women” offer and that the pair laughed it off. The adviser said that Schiller rejected the proposal. The NBC report does not mention Agalarov. Though NBC’s report would seem to be favorable to Trump, Schiller’s lawyer blasted what he said were “blatantly false and misleading” leaks about the House testimony. “We are appalled by the leaks that are coming from partisan insiders from the House Intelligence Committee,” Stuart Sears told NBC.